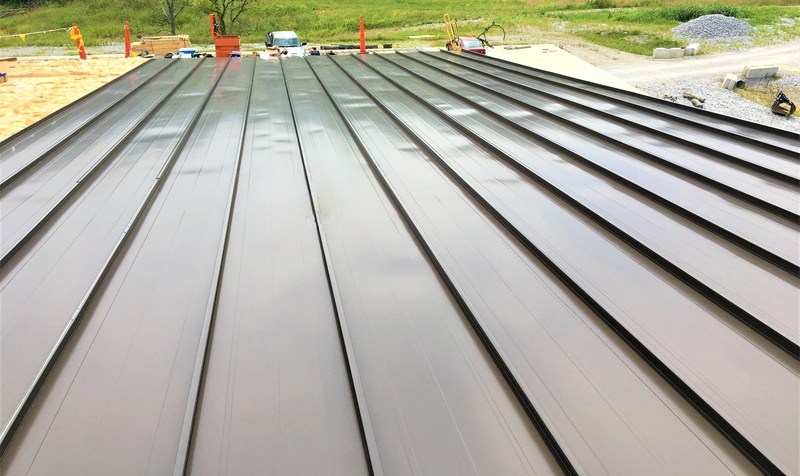 Roof hugger is a great way to do a metal-over-metal recover on a commercial building roof. 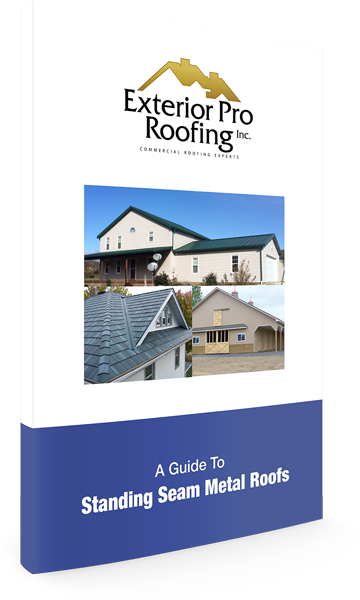 Here are a few roof hugger tips to help your next metal roof retro-fit project go smoothly. The roof hugger is generally shipped on a large pallet, but I don't suggest hoisting up the pallet as is. Take the time to count the purlings in each bay and do some measuring. You want to put the right amount of hugger in each area so that your crew doesn't have to move material again during the install. 2. Don't Install More Roof Hugger Than You Can Cover In a Day. The hugger is screwed down through the existing roof into the purling. Each time you put on a section of hugger, you're putting holes in the roof which could cause leaks. Having the roof dried-in each night when you quit for the day is good roofing practice. If that's not possible, you can use butyl tape on the bottom of the roof hugger to help seal screw holes. 3. Measure your production rate to help you plan the job. If you've already done a metal roof retrofit with roof hugger before, then you may already know what you crew is capable of. If this is your first roof hugger job, you will need to quickly find out how much hugger and new roofing you can expect out of your crew each day. For example, our last job averaged roughy 500 sq. ft. of hugger and new metal roof panals per day per man. Knowing this helps your forman plan jobs and adapt around changing weather. 4. 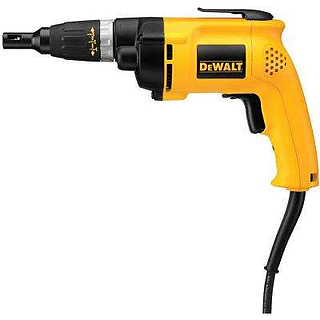 Run corded screw guns instead of cordless impacts. Guys love impact drills, and not being tied to a cord is nice, but they lack the all day power and torque of a corded screw gun. Corded screw guns also drive screws faster. Be sure to keep guys in their lane or row to avoid cord crossing. The less walking they do the more working they'll do. The cord really helps keep a guy where he needs to be. 5. If your metal roof retro fit requires new insulation, run it from top to bottom and not between the huggers. It's tempting to roll out 5 ' wide insulation between the 5' on center roof hugger horizontally because it fits and you can still see the roof hugger when you go to installl the new metal roofing. However, this will cause dimples from the screw heads in the new metal roofing at the seams in the roof hugger. It doesn't damage the metal roofing panel but the bumps made from the screw heads below don't look good and can easily be avoidable. 6. 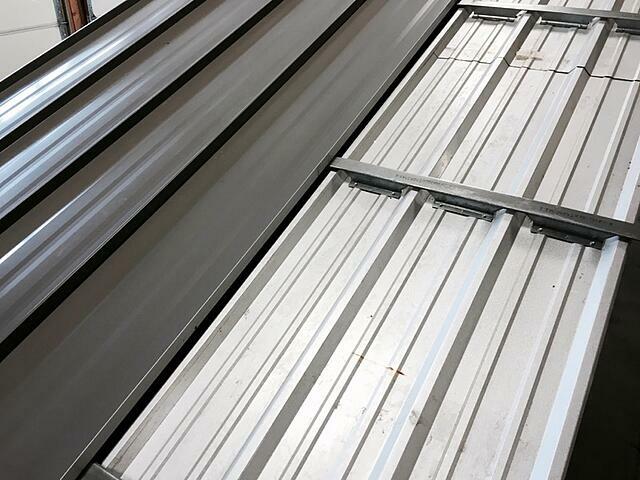 Plan your roof hugger installation with new metal roofing so its water-tight at the end of work each day. For example we cut one ft. off our first roof hugger before installation when we recover an existing metal roof that uses 2' wide standing seam panels. 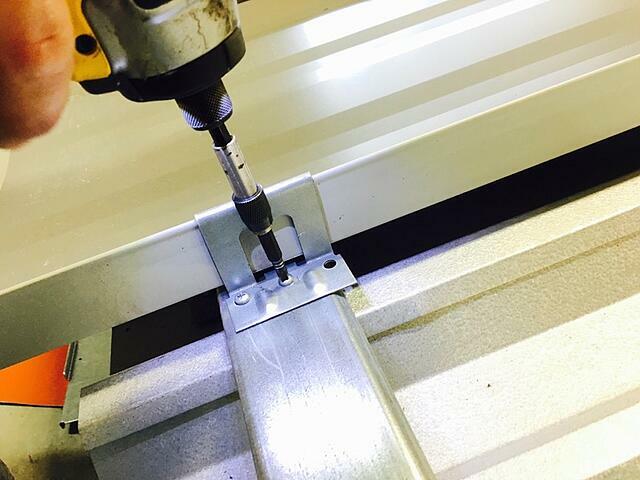 This way, our last roof panel of each day over hangs the roof hugger by a ft. We use clamps and a temporary jig to secure the last metal panel each day so that the next morning, we can easily remove the last piece of new metal and continue installing the roof hugger.